or to talk about a recent trip there. 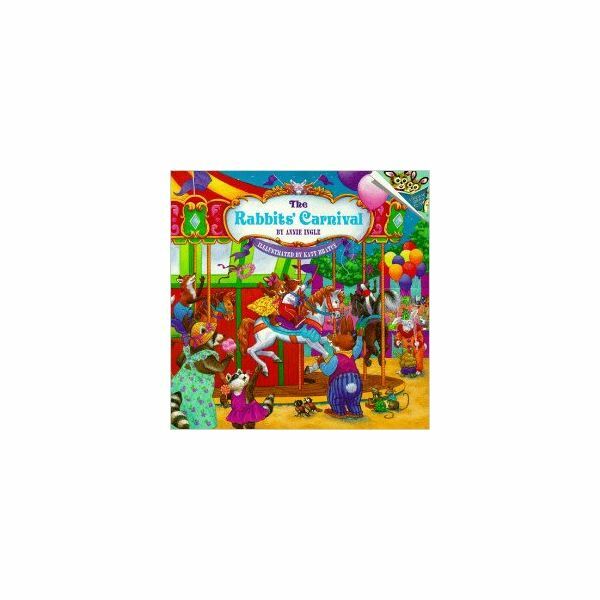 If your students have never been to a carnival, use a book, like The Rabbits' Carnival by H.L. Ross, to introduce them to the concept. You can also use these crafts to teach the five senses. Before doing this activity, cut various lengths of yarn for the mobile. Each student will need five pieces of yarn. You will also need to cut four-inch squares or ovals out of the construction paper. Each student will need five pieces to make the mobile. Give students a larger sheet of construction paper and have them draw a picture of a carnival. You can also have them color a picture of it and glue it to the construction paper. Pass out the smaller shapes of construction paper for students to draw and color five pictures. Students will use each of the five senses to draw the pictures. For example, the first picture will be something that they saw or would see at the carnival. The second one will be something that students tasted or would taste there. Continue having students draw until they have drawn a picture for each of the five senses. Once they have finished drawing and coloring the pictures, you can allow students to decorate them using various art materials. You can let them use ribbon, sequins, felt, or whatever you choose. You can even use food items, such as popcorn or cotton candy. Just remind students that it should not be eaten. If you want, you can bring in edible popcorn or cotton candy if your students are old enough to eat it. Next, punch holes in the top of all the small pictures as well as five holes in the bottom of the larger one. Then, pass out the yarn. Use the yarn to connect the smaller pictures to the large picture. You can easily do this by tying a knot. Before doing this craft, you will need to cut the construction paper into round balloon shapes. Each student will need one. You could also just cut the construction paper into ovals. You will also need to cut ribbon. Each student will need one piece of ribbon. Pass out the construction paper balloons to your students. Explain that students are going to put their favorite carnival character onto their balloon. They can choose a person such as a clown, or they can choose an animal that would be found there. Brainstorm a list of possible choices together. Have students create a carnival character using the art materials that you provide. Some good choices include fun foam shapes, felt, pom-poms, pipe cleaners, and sequins. Just pass out the materials and let students get creative. When students have finished, pass out the ribbon and glue. Have students glue the ribbon to the bottom of the balloon. These balloon crafts make wonderful hallway decorations or bulletin board display. A great title would be, “Characters at the Carnival." After completing these fun preschool carnival crafts, your class will be ready for a trip to the carnival!